Digital transformation continues to introduce new, cutting-edge technology into IT and business operations, but not everyone is enthusiastic. As tools like automation and artificial intelligence continue to evolve and open up fresh opportunities for efficiency, some IT pros are left questioning the future of their role within the team. 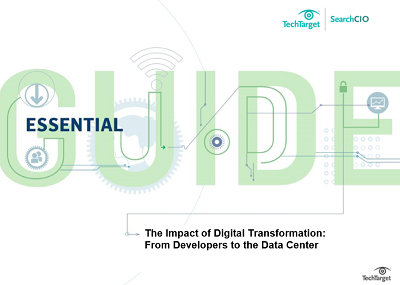 In this essential eGuide, find out what digital transformation and automation have in store for all the members of your IT team, from software developers to network managers – and how they can keep themselves ahead.